I tend fall into a rut where I prepare meals in a somewhat traditional style (a protein, plus a veggie or two, maybe a starch such as rice or potato, or a salad), especially during the week. It’s simple, I don’t have to think or follow a recipe, it pleases those picky eaters that don’t always like a bunch of different vegetables mixed together, and I can easily customize each plate to some degree – meaning I can take my double-helping of whatever veggies are on the menu and everyone is happy. But when I am feeling more creative, I love to combine flavors and mix things. 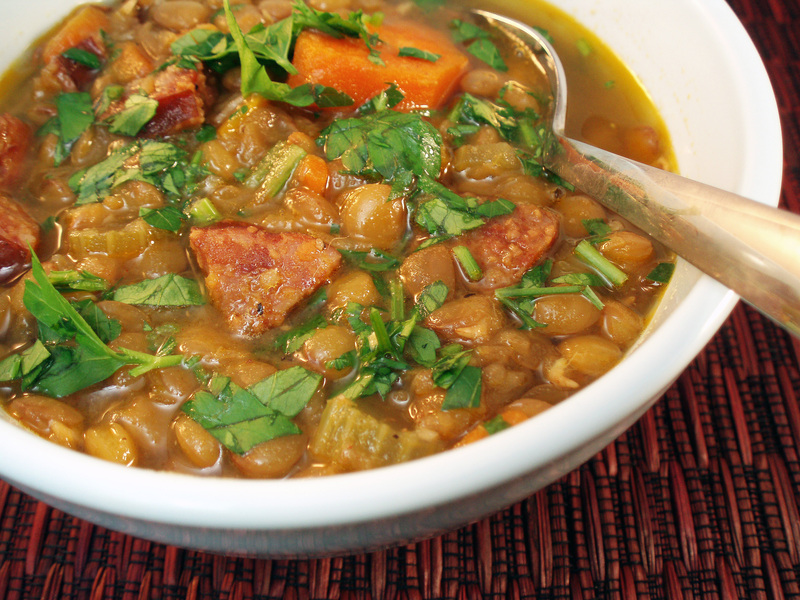 When time is no obstacle, this often results in complex dishes like menudo, curries, cassoulet, or stews. These generally not only take time, but also create more dishes than I’d like to tackle on a weeknight. So what’s an inspired girl to do to incorporate a lot of flavor without a lot of time or dishes? Make a one-skillet dish! I came across Heather at Gluten-Free Cat’s Moroccan Yukina Savoy and Red Quinoa Skillet, and it intrigued me. A quick, filling, protein-and-veggie-packed meal that could be made in a single skillet? This was not only doable, but it sounded delicious. Of course, I tweaked it a bit, adding some additional spices (Which I realize makes it not as simple, but I have an arsenal of spices in my kitchen, so I love to put them to use. If you’d like, you can just use cumin and paprika, or come up with your own spice combination. ), substituting swiss chard from my garden for the yukina savoy, and substituting raisins for the apricots. I also used regular quinoa rather than the red, because I only had a teensy bit of red quinoa left in the pantry. What resulted was a comforting, fragrant, filling dish that not only satisfied my hunger for complex flavors, but was stress-free to put together. In addition, the leftovers made for an amazing lunch. Unlike so many “one-dish” meals that either require other “starters” or “accompaniments” (such as a salad, bread, etc) to complete the meal, this dish truly does stand alone quite well. I did find that a fresh orange at the end of the meal served as a perfect dessert, however. Unfussy, yet completely satisfying. Place the quinoa in a bowl and cover with water. Set aside. Mix together all of the spices in a small bowl and set aside. Heat a large, heavy skillet to medium heat (I used my cast iron skillet). Add onions, carrots, and garlic. Saute for 6-7 minutes or until onions are soft, but carrots are still just beginning to soften. Add in the spices, lemon zest and juice, raisins, beans, and stock. Drain the quinoa, add it to the skillet, and stir. Bring to a boil and immediately reduce heat to a simmer. Cover with a lid and allow to simmer, stirring once or twice, for 15 minutes. Add in swiss chard and stir, and cover again with the lid and cook for an additional 5 minutes or until chard is wilted. (If the quinoa is too dry, add a bit more stock or water.) Remove lid, stir well, and serve, garnished with parsley and sliced almonds. You might think, judging by my last two posts, that I have been chowing down on nothing but sweets. Not so – not lately, anyway. Truth be told, I made both of those desserts – the Nanaimo bars and the banana pudding – weeks ago. (Besides, the Daring Bakers challenge made me do it!) Lately, I have been working on healthier, cleaner eating – for a variety of reasons. First, to see if I can alleviate some lingering symptoms that I’d hoped would disappear after going gluten-free, but haven’t. Secondly, to restore balance. As I become more in tune with my body, I realize that those sugary treats, while delicious, can be the death of me sometimes. At night, they call me from the kitchen, begging me to indulge in their sweet delights. So if/when I fall into their trap, I have to take a bit of time to step back and show the sugar who’s boss. For the past week, I’ve been following a clean detox diet. No, not starving myself with only lemon water to sustain me. (Don’t worry, Mom!) Just eating very simply and lightly, incorporating a lot of raw produce (hello, green smoothies! ), and removing a lot of potential “trigger” foods from my diet temporarily to observe how my body reacts. So far, so good. The hardest part was cutting out the caffeine, honestly. I don’t drink a great deal, but boy, those 2 cups of coffee in the morning were badly missed for the first few days! Anyway, this dish is likely the most complex recipe I’ve made in the past week, just because of the myriad of spices, but don’t let that deter you. Once you throw everything together to simmer, it’s a pretty simple dish. (After all, beans and rice is just about as humble as it gets.) 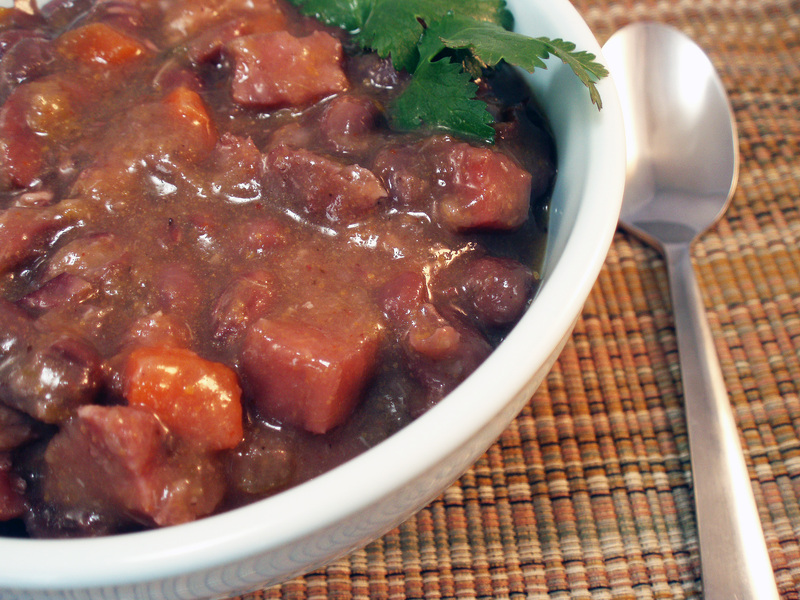 You could use a variety of beans for this recipe (although you might have to alter soaking and cooking times), but I like adzuki beans because they cook up relatively quickly and are very easy to digest. They’re slightly sweet, (and so are often used in sweet treats in Asian cuisine) which pairs well with the garam masala and cayenne. And of course, this dish packs a good amount of fiber and protein. It just also happens to be vegan and gluten, dairy, and corn-free. Most of all, for a chilly, dreary winter day, this is a comforting dish that won’t weigh you down. A quick word about kombu. Kombu is a variety of dried seaweed often used to make dashi, and can be found in the Asian section of groceries or at a specialty store, or online. What I love about kombu is that when simmered with beans, it improves their digestibility and lessens the (ahem) side effects. It also works as a flavor enhancer, adding a bit of umami to the dish. If you haven’t had the chance to cook with it, give it a try. 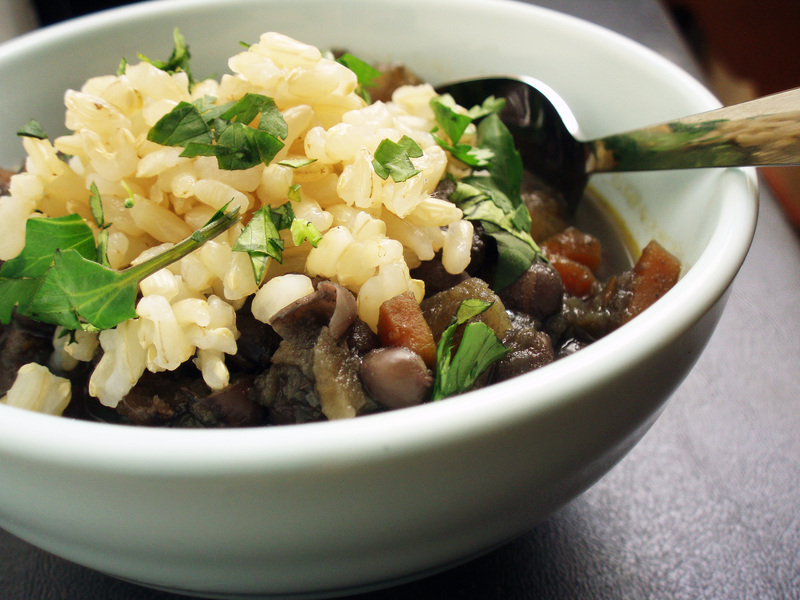 Same with this twist on the good ‘ol standby – beans and rice. You might be pleasantly surprised on how delicious healthy can taste! Place garam masala, cumin seeds, and cayenne in dry skillet and toast over medium heat until fragrant. (Be careful not to burn!) Remove and crush/grind with a mortar and pestle. Add olive oil to a large saucepan or dutch oven and bring to medium heat. Add onions, celery, and carrots and sauté until softened, about 5 minutes. Add toasted spices, ginger and garlic and sauté for another minute. Add squash, beans, kombu, and water, and bring to a boil. Reduce to a simmer and cover, and cook for 1 hour or until beans are tender. Season with salt generously to taste. 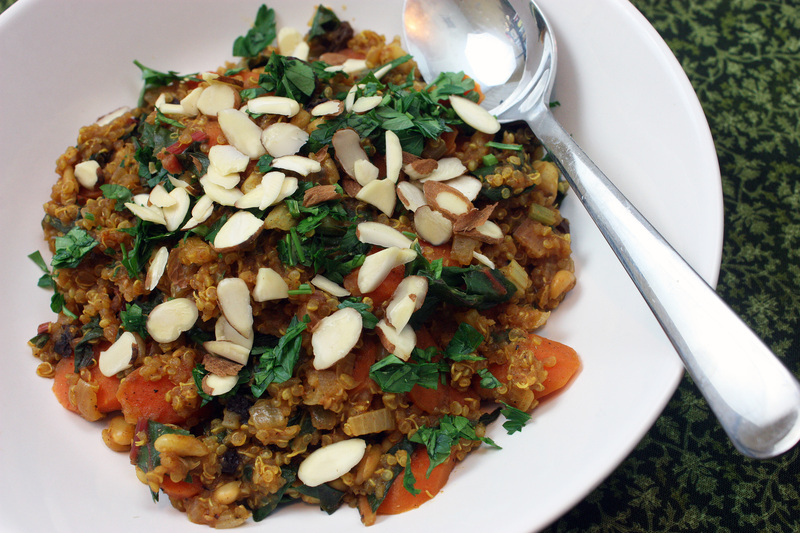 Serve with brown rice and garnished with cilantro. This recipe is from the archives. These brownies were made for my mother for her birthday dinner back in March, but as I was thumbing through my recipes (you know, the ones that I have stowed away with the best of intentions to post) I stumbled across them, and decided they were just too good not to share with you. Besides, they are full of fiber, gluten and sugar-free. But aside from health benefits (if you can call it that – this still is, after all, a brownie), these babies are brimming with rich chocolate flavor. (And if you’re wondering, no, they don’t taste “beany” at all!) They make a wonderful, simple dessert as is, but they could always be adorned with a ball of ice cream on top (for my Mom’s birthday, I used them as a base for a hot fudge sundae). I found this glorious recipe from Heidi at 101 Cookbooks, who found it through Ania Catalano’s Baking with Agave Nectar. If these brownies are any indication of how awesome Ania’s recipes are, perhaps I need to pick up a copy of this book myself! Preheat the oven to 325°F. Line an 11- by 18-inch (rimmed) baking pan with parchment paper and lightly oil. In a large bowl, mix together the remaining 1/2 cup walnuts, remaining melted chocolate mixture, instant coffee, and salt. Mix well and set aside. Makes about 28 3-4 inch brownies. Update: I am so excited about the flexibility in this recipe. A Dash of Sass created a raspberry brownie cake with this recipe, and it looks absolutely amazing! I was so inspired, that I’m in the process of making this for my mother-in-law for her birthday! Check it out – it looks divine! Dear Summer: It’s not that I don’t love what you bring…bountiful produce, long days, and barbeque parties by the pool. I love these things, I really do. It’s just time to move on. As you always do around here (in Texas), you overstay your welcome, and you don’t allow Autumn enough time to play. So please, let’s just part ways for the year. No hard feelings? I’ll welcome you with open arms next June, I promise! It’s 95 degrees today here in North Texas. Hot and humid. There is a cold front in sight, they say, bringing cooler temperatures for the weekend. In my mind, it can’t get here fast enough. Apparently, my appetite agrees. 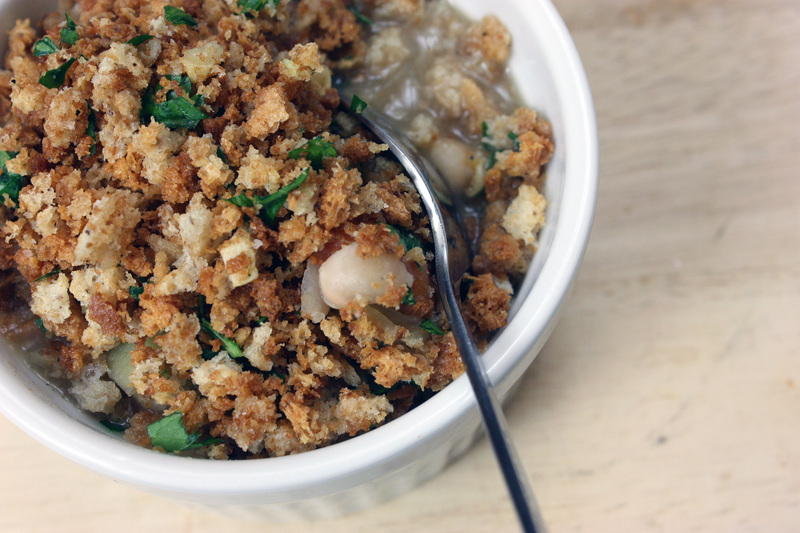 My husband and I have been craving cool-weather dishes, as evidenced by my last few posts. (Shepherd’s pie just doesn’t cross most people’s minds when it’s hot outside.) When I was planning meals this past weekend, I decided upon a vegetarian chili – cool weather or not. Even if it won’t act like fall outside, I can still pretend, right? This chili will likely reappear at our home in some version several times in the coming months. It was a snap to make, with minimal prep the night before, and a long, unattended simmer in the slow cooker. (Not to mention it was super-budget friendly!) Once it was nearing dinnertime, I had so little to prepare, I decided that an attempt at a gluten-free biscuit was needed. Last week, I came across a gorgeous gluten-free biscuit recipe from Shelley at This Primal Life. (Shelley has a wonderful blog filled with healthy, gluten-free, grain-free recipes.) Gluten-free biscuits? Yes, it can be done. These babies were tender, with a delicious, cheesy flavor, and a very mild bite from the peppers. Oh, man. They were a dream. And for those of you that are watching your carb intake, these are right up your alley, as they’re made with almond flour. These are about as healthy a biscuit as they come, but you’d swear they were sinful. And they paired with the chili perfectly. So if it’s still hot where you are, then feel free to pocket this recipe for a few weeks, until the air is crisp and those chili cravings set in. Or do like we did, and pretend. Rinse the beans, and soak overnight. Rinse again and place beans in slow cooker. Add rest of ingredients and stir well. Cook on low for 8 hours or until beans are tender. Taste and adjust seasonings if necessary. Serve topped with desired garnishes. Serves 8. Preheat oven to 325 degrees. Combine almond flour, baking soda, and salt in a bowl. Mix in grated cheese and serranos. In a separate bowl, mix the eggs, sour cream, and water. Combine the wet and dry ingredients until they just come together. Drop batter in large spoonfuls onto a parchment paper-lined baking sheet. Bake for 20-25 minutes or until slightly browned on top. Makes 12 rounds. Hungry for more? This recipe and other Slightly Indulgent recipes are available on Simply Sugar and Gluten Free, as part of the weekly Slightly Indulgent Mondays, and also is linked to Miz Helen’s Chili Cookoff!